It’s Charlie Baker against Martha Coakley for the governorship of the Bay State. In today’s Congressional Corner, Massachusetts Representative Richard Neal tells WAMC’s Alan Chartock that attorneys general have struggled in Massachusetts politics in the past. The world’s focus has been on Ireland and Scotland in recent weeks. 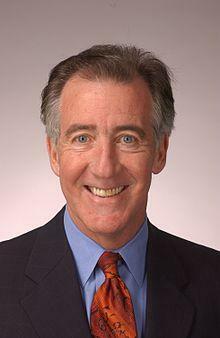 In today’s Congressional Corner, Massachusetts Representative Richard Neal tells WAMC’s Alan Chartock that Ian Paisley left a mixed legacy. Massachusetts voters last week sent Martha Coakley and Charlie Baker to the general election for governor. In a Congressional Corner interview recorded the day after the elections, Massachusetts Representative Jim McGovern tells WAMC’s Alan Chartock he thinks Coakley will make a strong candidate. Tuesday’s primaries have set the candidate slate for November’s elections in Massachusetts. Now the parties are shifting their focus accordingly. Massachusetts Democrats are sending Martha Coakley to November’s gubernatorial election. And while most Berkshire political leaders say they were not surprised by Coakley’s win, it was against their wishes. Coakley And Baker Win Primaries For Mass. Gov. Democrat Martha Coakley and Republican Charlie Baker will face off in November's election for Massachusetts governor. Both candidates beat out challengers in Tuesday's primaries. Baker Wins Republican Primary For Mass. Gov. Charlie Baker defeated Tea-Party candidate Mark Fisher in Tuesday's Republican primary. Baker, the former CEO of Harvard Pilgrim Healthcare, will head to his second straight general election seeking the governor's seat. Baker lost to Democratic Governor Deval Patrick in 2010 by six percentage points, 42 to 48 respectively. Patrick is not seeking a third term this November. Baker also served as Secretary of Health and Human Services and Secretary of Administration and Finance under Republican governors William Weld and Paul Cellucci during the 1990s.